The Chiefs have been named ahead of their Investec Super Rugby derby opener against the Highlanders at FMG Stadium Waikato on Friday. Four promising Chiefs debutants will make their debut on Friday. Debutants include 21 year old fly half Orbyn Leger, All Blacks Sevens star Etene Nanai-Seturo, Auckland centre Tumua Manu and Tongan-born Japan international winger Ataata Moeakiola. 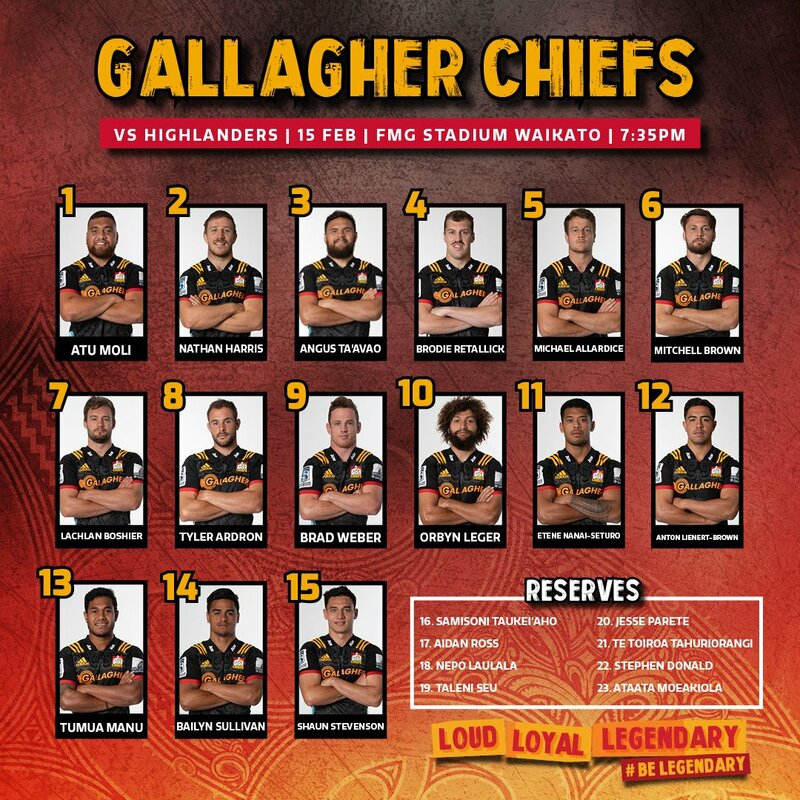 A special occasion for the new players, they’ll look to make their mark in the Chiefs jersey in front of the home crowd at FMG Stadium Waikato. A vastly experienced and determined line-up includes returning All Blacks Nathan Harris, Brodie Retallick, Anton Leinert-Brown, Te Toiroa Tahuriorangi and Angus Ta’avao. In addition to the experience an injection of talented youth in the backline will set the tone for side’s 2019 Investec Super Rugby campaign opener. In naming the side head coach Colin Cooper touched on the privilege these young men have to play in the Chiefs jersey.